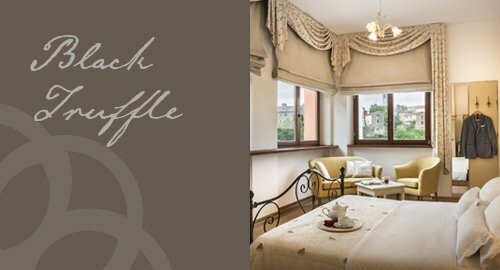 Palazzo Angelica has 6 lavishly equipped and decorated rooms, each of them telling another exclusive story. This 5-star luxury villa in Istria with its 6 luxuriously equipped rooms can accommodate up to 12 guests. Each room is furnished with a spacious double bed, flat-screen TV and safety deposit box, and provides complete comfort with a separate bathroom with a bath or shower cabin. From the windows of each room there is a beautiful view of Oprtalj and the green hills - a real holiday for the eyes. Each room is unique and has its own name and design. 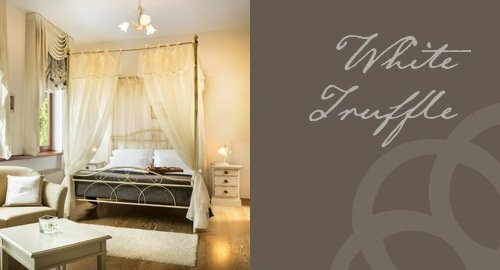 While our standard rooms are named after the beautiful Istrian historical towns, our superior and master bedroom are truffle-themed, featuring the most beloved tastes of Istria. 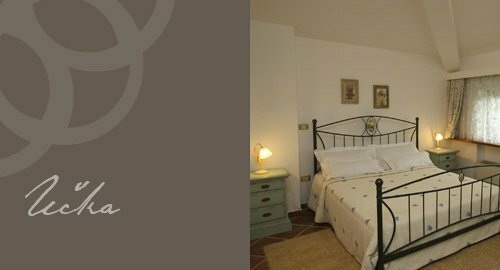 Palazzo Angelica offers you also two suites located in the old town of Oprtalj/Portole. 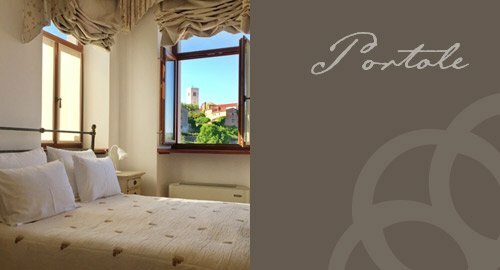 Our luxury villa in Istria offers you 4 beautiful standard rooms named after Istrian historical towns - Portole, Motovun, Garden and Učka. 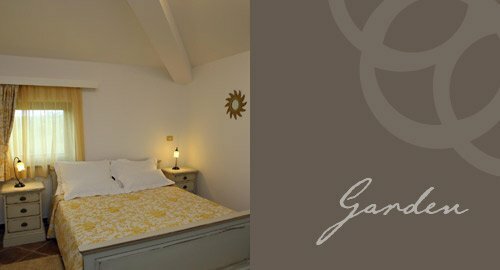 Our standard rooms are perfect for relaxing breaks, offering you everything you need. 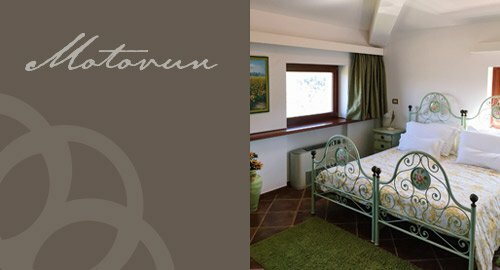 Our two beautiful suites will make you experience what it's like to book a luxury villa in Istria. Both named after truffles, the WHITE TRUFFLE master bedroom and BLACK TRUFFLE superior room offer you the best Palazzo Angelica can offer. 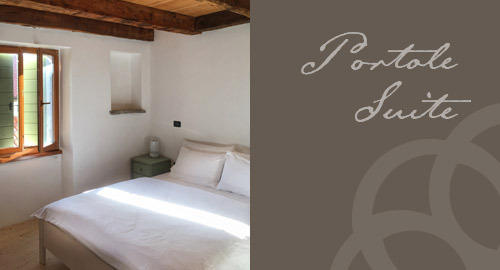 Palazzo Angelica offers you two more suites located in the old town of Oprtalj/Portole. 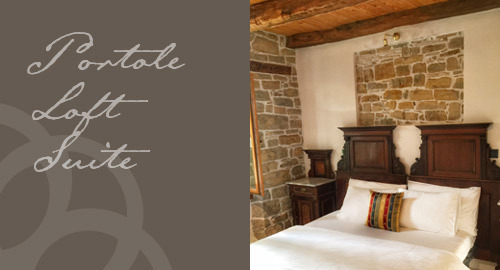 Staying at our Portole Suites will make you experience what it's like to live in the old town while, at the same time, you will have all the comfort of a luxury villa in Istria. Located on the lower ground floor, The Club Room has everything to provoke your imagination about castles and rustical villas. Covered in stones, it has a massive fireplace and a large table with chairs, ideal for games or group meals. Two highly comfortable couches will make your social moments unforgettable. The luxury Villa's private outdoor area consists of 2400 square meters of terraces and gardens. Wheter you are interesting in catching the first sun of the spring, the warm autumn sun, or enjoying the soft summer nights, there is a plenty of sunbeds, chairs, and tables on your disposal. While swimming in our pool, you will enjoy a priviledged view over the town of Oprtalj.